All the posts thus far in Alpaca - The Mini Series have been about Huacaya alpacas. Huacayas appeared in this 'Let's Spin' post , in the post on prepping an Alpaca Fleece, as well as in the recent Alpaca Shearing post . But today is all about the Suri alpaca. I recently joined several of our Guild members to visit a Suri alpaca farm, Sea Ayre Suris, located about an 1 1/2 hours away in Cameron, South Carolina. The major focus of Sea Ayre Suris had been on breeding and advancing the quality of the bloodlines in their alpacas. Now, Sea Ayre Suris no longer is in the breeding business, but still harvests quality fleeces each year. We had a wonderful time not only learning about the animals, but choosing and purchasing raw fleeces. I brought home a pound of each of three animal fleeces: Caesar (white, finest fleece of Sea Ayre's alpacas), High Cotton (whitest of Sea Ayre's alpacas), and Bouquet Garni (dark brown with some variegations). Here is some history about the Suri I've learned from the online Suri Network. Available records indicate the Suri alpaca has been domesticated for about 6,000 years by the people of the Andes mountains in Peru, Bolivia, and Chile. At one time, the woven fabric from their fleece was so prized that it was used as currency. Suris were first imported to the United States in 1991. Varying reports indicate Suris represent only about 15 to 18.5% of the US alpacas when compared to the more common Huacaya alpaca. Whereas Huacayas have a soft, fuzzy look, Suri's have long, crimpless locks that drape down the sides of their body. These locks can be curly, twisted, or straight. The length of the fibers (staple) can grow 5 to 7 inches in a year. Generally, annual shearing is done, but some raisers keep several years' of fleece growth of on their animals to make it attractive for sale. I have read that although these fleeces look dramatic, they can be a nightmare to prepare as they are more likely to contain debris, felted areas, and fragile tips. Just like Huacayas, Suris have up to 22 natural shades including white, fawn, browns, grays, and black. That said, creamy white is the most readily available. Here is a video from Sea Ayre Suris that shows the flowing fleece of these beautiful animals as they gracefully move across the pasture. Suri fiber has been described as "soft as cashmere, warmer and stronger than wool, and having the luster of silk". Compared to wool, Suri fiber has longer scales that are nearly flat to the fiber which is reminiscent of the look and feel of silk. 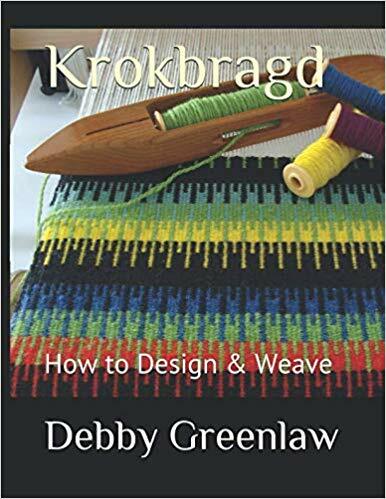 It has the ability to drape well so it is ideal for knitted lace shawls and woven scarves. Also, because of its characteristic smoothness, it takes dye color well and still maintains its luster beautifully. A fiber's feeling of softness is determined by several factors including smoothness and fineness. I have already mentioned that Suri fiber is smooth. It is also a finer fiber; typically the finer the fiber, the softer it feels. Fineness is measured in microns (a micron is 1/25,000 of an inch). Some Suri fiber can measure less than 20 micron (as soft as cashmere) with an average fleece measuring between 24 and 28 microns in diameter. Suri fleeces can vary greatly from one animal to the next; some fleeces can be greater than 30 microns which make them better suited for creating durable outerwear. Because alpaca fleece does not have lanolin, some spinners will spin straight from the unwashed locks. My preference is to work with clean fiber because I believe it significantly cuts down on the dirt that rubs off on my hands, equipment, and potentially spins into my yarn. I used the same method to wash these Suri fleeces as I wrote about in Alpaca Fleece . . . Now What?. Because Sea Ayre's pasture land is on sandy soil, the fleeces were noticeably cleaner than other fleeces I have acquired from those pastured on the infamous red clay found in much of the Carolinas! Of course, Caesar, who sports the finest fleece, is also Ed's dirty boy, liking to roll in the dirt and attach lots of vegetation (VM) to his coat! Because the Suri fiber is longer and finer, I opted to comb rather than card my fleeces. This produced a light and airy top. I did find the fibers to be a bit flyaway; finding a little spritz of water helped to control static as I combed. My St. Blaise combs worked fairly well on High Cotton and Bouquet Garni, but Caesar's fleece is too fine. It just slipped through my combs. It is recommended that for very fine fibers, to use two-row mini combs. I definitely will need to purchase different combs for Caesar's fine fleece. I'm exploring options, but the front runner so far are these Louet mini combs. I recently read an article that recommended a combination of first drum carding and then combing Suri to make the smoothest roving with the least amount of wasted fibers. I'll have to give that method a try and get back to you. In a future post, I will share my experience and observations about carding, blending, and spinning Suri yarn. Sea Ayre Suris, owned by Edward Hinshaw, is located in Cameron, SC; approximately 75 miles from Charleston. Ed is delightful and generously shared his extensive knowledge about alpacas with our group. Thinking he must have worked with alpacas all his life to have this command of information and experience, I was surprised to find out that Ed was a vocal major in college and worked and retired from Sears. He continues to sing, preferring classical music, his favorite being Bach. Simply Suri. Kaye D. Collings. Spin-Off, Winter 2010, pp. 50-57. Surprising Suri. Donna M. Rudd. Spin-Off, Winter 2015, pp. 58-62. Oct 22 Alpaca Fleece . . . Now What?